I’m double-posting today, so this week’s Shame Day is a little late [I try to update the blog before noon] but is brought to you by a topic I haven’t addressed much as of late: the wonderful world of comics. Yesterday it was announced by various comic book news outlets that the newest title out of the Marvel NOW! line of books would be X-Men, written by Brian Wood and illustrated by Olivier Coipel. 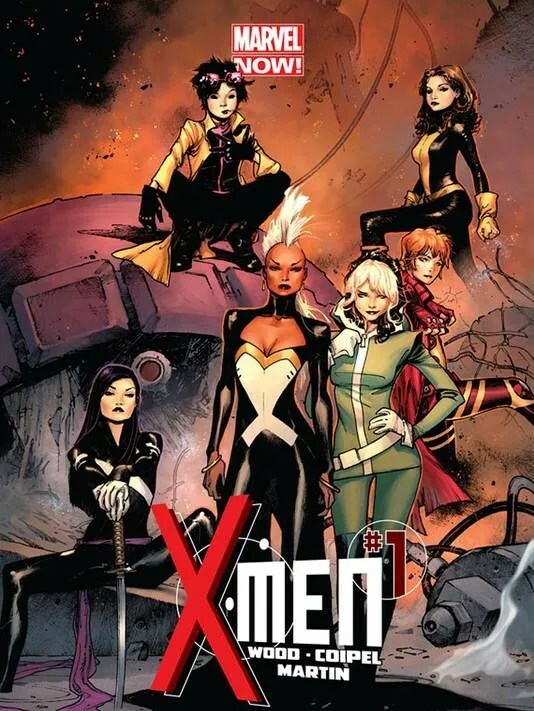 An X-Men title is certainly nothing new, but it is when the entire cast of said title is female. He wants to challenge the double standards that have been in superhero books for years, where Wolverine can sleep with anybody but if a female character does it twice, she’s promiscuous, which Wood sees constantly online. “To everybody’s credit, these people are often shot down immediately for being sexist and unfair, but that is a very common thing,” Wood says. 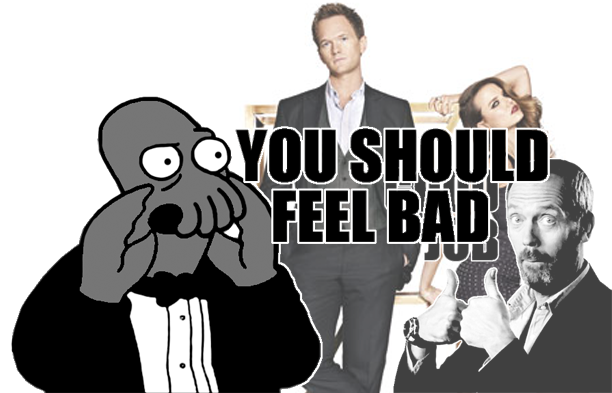 Barney Stinson is pretty widely known to be both a prolific and successful womanizer. He sleeps with women the way most people go to work: five times a week, maybe six to get in some overtime. He’s admittedly a painfully funny character, but also one that is congratulated for his sexual prowess. Now take a female character and put her in Barney’s shoes. Thankfully, times are certainly a’ changin’, and I can actually point to one half of the roommates in Don’t Trust The B—- In Apartment 23, Chloe. She is a person who treats her sexual partners with just about as much respect [if not less] than Barney Stinson, and the show has for the most part done a great job not demonizing her for it. What I’m pointing an accusatory finger at this Shame Day is the fact that we hold as a culture a sickeningly obvious double standard. I’m not one who particularly praises rampant sexual promiscuity, but I certainly hope that I if I did I would be able to hold both with an equal amount of esteem. This post is to shame those who give the Chloes of this world the finger with one hand while high-fiving the Barneys with the other. It’s also to give the bit of credit where it’s due to Brian Wood and to all others who realize how it is we view men and women, and who go out of their way to work against that. She-Hulk #17 (Vol. 2). Written by Dan Slott, illustrated by Rick Burchett.